Depending on your choice of output format, you can first try to convert it with the QuickTime program that's built into your Mac. That's especially handy when you want to edit it with iMovie or burn it onto a DVD with iDVD. 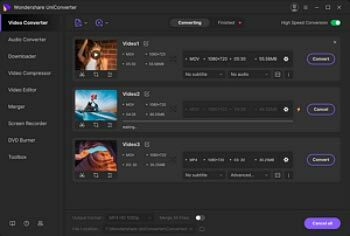 Despite the convenience, a lot of users have previously asked for suggestions on other methods available due to the limited choice of supported output formats, compatibility of file uploading as well as the quality of the end video. Hence, you can probably try to convert your QuickTime MOV files with either one of the methods listed out below. If QuickTime isn't able to upload or fails to meet your video needs, please just use the free online video converter media.io below. You'll be pleased to learn that there's quite a few that supports the import of an MOV (QuickTime) files for conversion. Other than that, you can also convert it to some of the most popular file formats such as an MP4, AVI, FLV, WMV and etc. 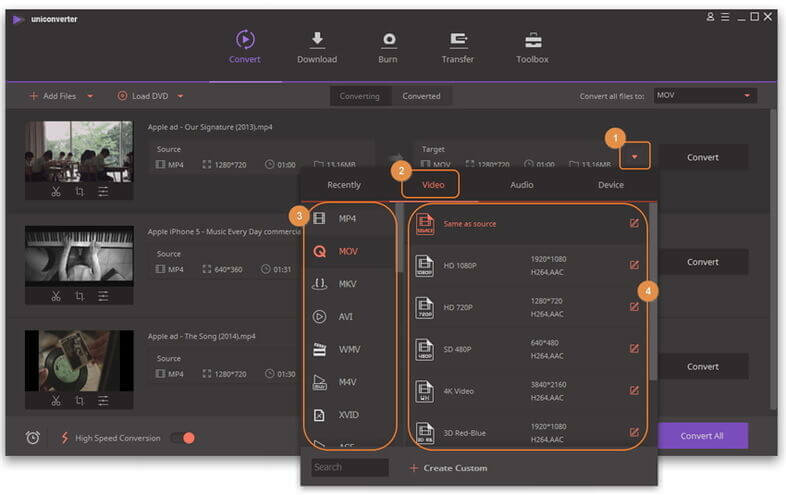 The process is very straightforward; you just need to browse your MOV video files from your local directory and upload it onto the online converters. Furthermore, you can batch convert 2 video/audio file at a time. On top of that, the speed of conversion is also very largely dependent on the stability and speed of your Internet connection. Other than that, it's pretty convenient for a simple file conversion task. Continue reading into Part 2 if you need additional features. A desktop converter is better suited when you need to convert more than a handful of video files for further editing purposes or creating your own DVDs. The speed of conversion is more stabilized and you can perform batch conversions. The Wondershare UniConverter for Mac (originally Wondershare Video Converter Ultimate for Mac) is also capable of converting your files with ZERO quality loss. 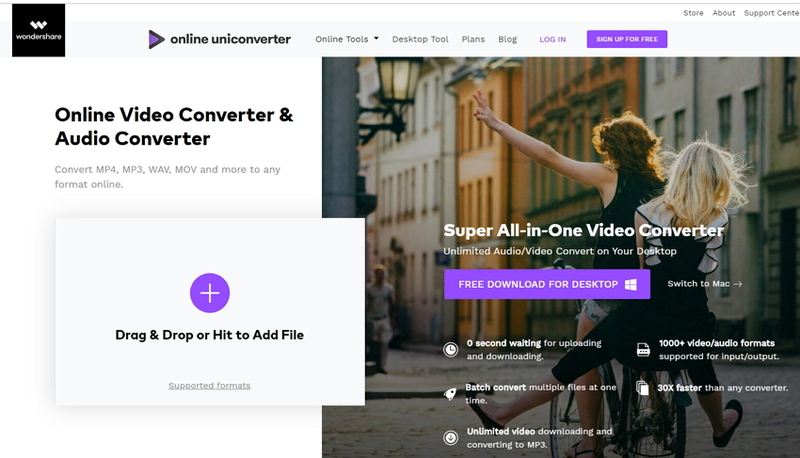 If you need to convert your MOV (QuickTime) video files for editing with iMovie, you can edit it directly with the UniConverter (originally Wondershare Video Converter Ultimate). 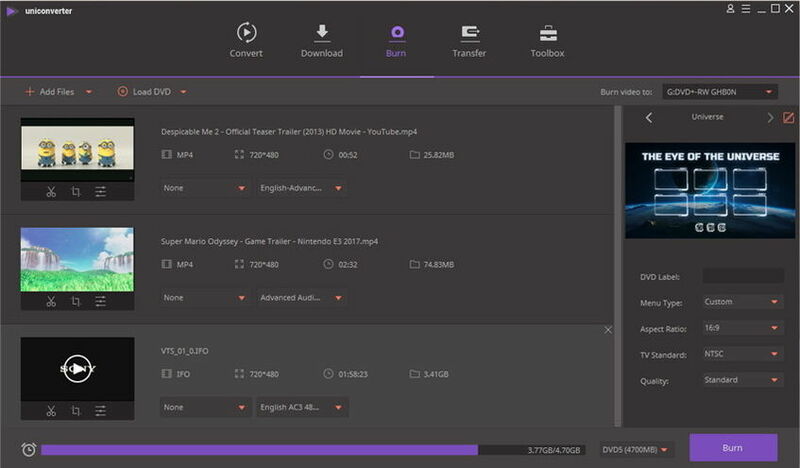 It's actually the ULTIMATE video converter toolbox that you'll ever come across because you can create and burn your videos onto a DVD all on the same platform. Simply read through the instructions detailed below in order to convert your MOV files directly, with prior editing, to copy or burn them onto a DVD. Drag-and-drop your files onto the interface. Click on the editing icons under the imported video thumbnail to trim, crop, insert effects, add watermark or subtitles. Select your Output Format (click on the arrow-up sign just above your output directory). Navigate to the Burn's tab (on the header of the interface). Select either Copy or Burn from Task. Click on Edit to trim, crop, insert effects, add watermark or subtitles. Select your DVD's menu(click on the arrow-up sign just above your DVD's storage bar). Select Aspect Ratio and Quality of your DVD.